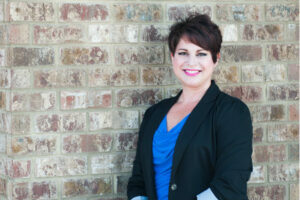 Physical Therapist ~ Kellie is a 1995 graduate of the University of Tennessee at Memphis physical therapy program and joined the High Pointe team in 2007. Throughout her career, Kellie has worked in a variety of therapy settings with an emphasis on neurologic rehabilitation. When Kellie and her family moved to Clarksville in 2002, she decided to try working in the outpatient clinic setting and has loved every minute of it! Kellie and her husband Chase have three children — Lauryn, Hunter, and Emma. The Boyds own ABC Family Dental here in Clarksville where Chase practices dentistry. Kellie is an avid reader, gardener, and fledgling golfer! She loves to be outdoors with her children, dogs Jaz (a German shepherd) and Thor (a St. Bernard) and cats Sophie and Jagger…and many more (we’ve decided to quit counting).